2019-04-01 : Updated: 2019-03-22 17:08:11 In a Divorce, Who’s Left Holding the Credit Card Bills? 2018-04-02 : Updated: 2018-04-02 09:57:54 What Is ‘Free-Range Parenting’ and Why Do We Need Laws Supporting It? 2018-02-01 : Updated: 2018-02-01 09:46:10 Can You Pass the Co-Parenting Test? 2016-12-12 : Updated: 2016-12-12 12:28:01 Do You Need a Forensic Accountant? 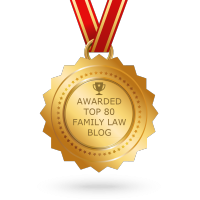 2016-09-05 : Updated: 2016-09-07 16:27:35 Is A Co-Parenting Custody Arrangement Right for You? 2016-05-16 : Updated: 2016-06-09 11:54:00 Should Parents Pay for Child’s Bullying Behavior? 2016-04-04 : Updated: 2016-04-04 12:26:30 Child Custody: Who Wins When Laws Clash? 2016-02-08 : Updated: 2016-02-05 17:41:48 Has Alimony Reform Act Made It Easier to End Payments? 2016-01-11 : Updated: 2016-01-19 13:46:15 Teens and Snow Shoveling: A Community Service or a Violation of the Law? 2015-12-28 : Updated: 2015-12-21 05:32:27 Do Winter Coats Compromise Car Seat Safety? 2015-11-02 : Updated: 2015-10-20 11:29:33 Did Marriage Equality Bill Fail to Protect the Children? 2015-08-10 : Updated: 2015-07-10 14:50:17 Could Your Divorce Be the Reason behind Your Child’s Weight Gain? 2015-07-27 : Updated: 2015-07-10 14:47:53 Should State Lawmakers Ban Smoking in Vehicles While Children Are Present? 2015-05-18 : Updated: 2015-05-18 16:49:37 Split Custody: Is It Ever a Good Idea to Separate Siblings? 2015-03-23 : Updated: 2015-03-23 12:42:08 How Does Divorce Differ from a Legal Annulment? 2014-09-08 : Updated: 2014-09-22 13:34:48 Could New Jersey Parents Face Stiffer Penalties for Leaving Children in Cars? 2013-04-30 : Updated: 2014-09-22 13:35:02 When An Engagement Is Broken, Who Is Entitled To The Ring? 2012-09-18 : Updated: 2014-09-22 13:35:07 “Preglimony” – A Fair Financial Arrangement or A Setback to Women’s Rights? 2012-07-02 : Updated: 2014-09-22 13:35:09 Are New Jersey’s Alimony Laws Due for an Update? 2012-05-13 : Updated: 2014-09-22 13:35:10 Annulment v. Divorce – What Is the Difference? 2012-03-31 : Updated: 2014-09-22 13:35:11 Should Genetic Testing Be Required for All Parents and Newborns? 2011-12-12 : Updated: 2014-09-22 13:35:14 Will New Jersey Follow Massachusetts’ Lead in Alimony Reform? 2011-06-11 : Updated: 2014-09-22 13:35:18 Should Parents’ Citizenship Status Affect Child’s Rights to Financial Aid? 2011-04-17 : Updated: 2014-09-22 13:35:19 Should Your Right to an Attorney Pertain to Child Support Cases? 2011-04-02 : Updated: 2014-09-22 13:35:20 Does New Jersey Need to Update Its Definition of “Mother”? 2011-03-19 : Updated: 2014-09-22 13:35:20 She Gets the House, He Gets the Cars, But Who Gets Rover? 2011-01-27 : Updated: 2014-09-22 13:35:22 Can Reading Other’s Emails Be Criminal? 2011-01-22 : Updated: 2014-09-22 13:35:22 Are Children Conceived Posthumously Eligible for Survivor Benefits? 2009-03-11 : Updated: 2014-09-22 13:35:52 Doctrine of Parental Immunity not a protection from ordinary negligence. 2008-08-05 : Updated: 2014-09-22 13:35:54 Demystifying the imputation of income. 2008-07-07 : Updated: 2014-09-22 13:35:54 New Jersey Supreme Court says cohabitation no longer a requirement for Palimony. 2007-04-10 : Updated: 2014-09-22 13:36:00 Paternity of Dannielynn, Official! 2007-03-30 : Updated: 2014-09-22 13:36:00 New Jersey Child Support: Who Pays? 2007-02-21 : Updated: 2014-09-22 13:36:03 Custody Battle Continues — Anna Nicole Smith’s Daughter, Dannielynn! 2006-12-28 : Updated: 2014-09-22 13:36:07 New Jersey Child Support and Visitation: Is There a Connection?